Frontiersmen is an eight-hour documentary series will follow the stories of iconic pioneers such as Daniel Boone, Lewis & Clark, Tecumseh, Davy Crocket and Andrew Jackson as they set forth across untamed land. 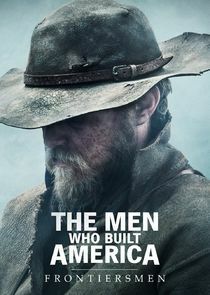 "Frontiersmen" will span a formative period of American history - the first 75 years from the post-revolutionary war colonies through the California Gold Rush. The series will show how the frontier helped shape us from colonists into today's Americans. "During these years, America went from the opportunity of land to the land of opportunity and it was a bloody struggle throughout," said Cabana. "From Crockett to Boone, we'll tell the bold stories of these adventurous trailblazers who explored the uncharted wilderness and became the icons we know today."